After a dispute and riot in 1132 at the Benedictine house of St Mary's Abbey, in York, 13 monks were expelled (among them Saint Robert of Newminster) and, after unsuccessfully attempting to return to the early 6th-century Rule of St Benedict, were taken into the protection of Thurstan, Archbishop of York. He provided them with land in the valley of the River Skell, a tributary of the Ure. 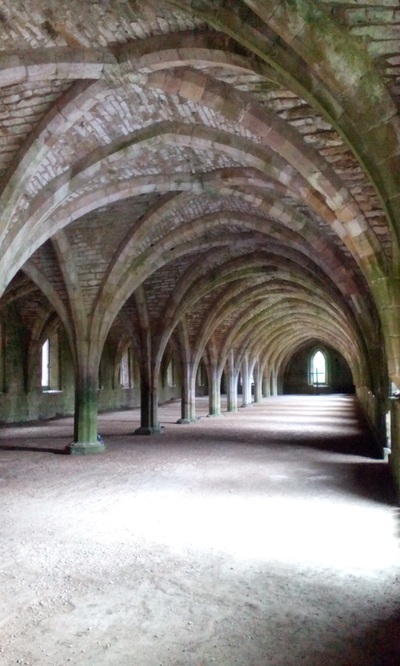 The enclosed valley had all the natural features needed for the creation of a monastery, providing shelter from the weather, stone and timber for building, and a supply of running water. After enduring a harsh winter in 1133, the monks applied to join the Cistercian order and in 1135 became the second house of that order in northern England, after Rievaulx. 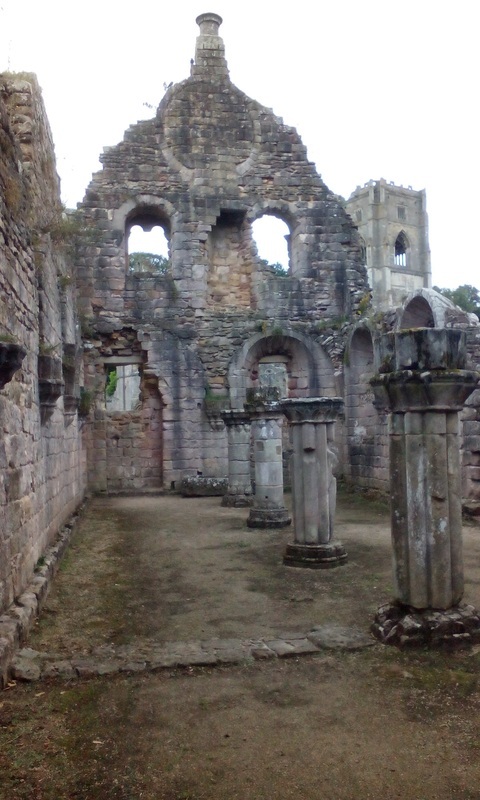 The monks subjected themselves to Clairvaux Abbey, in Burgundy which was under the rule of St Bernard. Under the guidance of Geoffrey of Ainai, a monk sent from Clairvaux, the group learned how to celebrate the seven Canonical Hours and were shown how to construct wooden buildings in accordance with Cistercian practice. 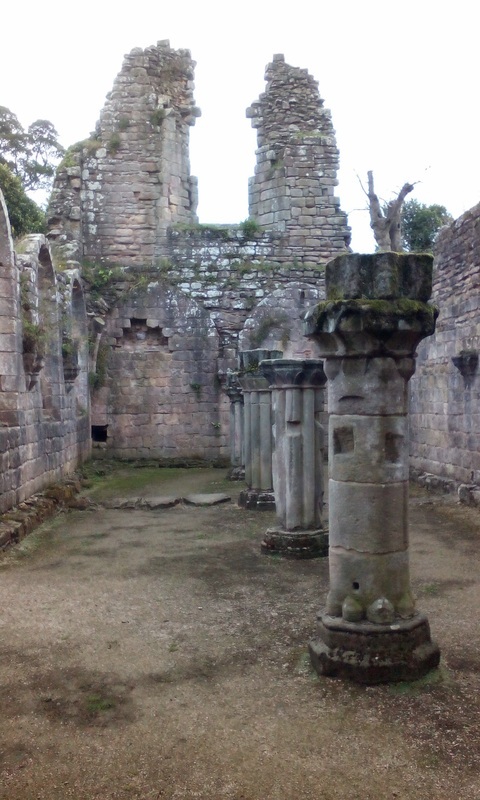 After Henry Murdac was elected to the abbacy in 1143, the small stone church and timber claustral buildings were replaced. Within three years, an aisled nave had been added to the stone church, and the first permanent claustral buildings built in stone and roofed in tile had been completed. In 1146 an angry mob, displeased with Murdac's role in opposing the election of William FitzHerbert to the archbishopric of York, attacked the abbey and burnt down all but the church and some surrounding buildings. The community recovered swiftly from the attack and founded four daughter houses. Henry Murdac resigned the abbacy in 1147 to become the Archbishop of York and was replaced first by Maurice, Abbot of Rievaulx then, on the resignation of Maurice, by Thorald. Thorald was forced by Henry Murdac to resign after two years in office. The next abbot, Richard, held the post until his death in 1170 and restored the abbey's stability and prosperity. In 20 years as abbot, he supervised a huge building programme which involved completing repairs to the damaged church and building more accommodation for the increasing number of recruits. Only the chapter house was completed before he died and the work was ably continued by his successor, Robert of Pipewell, under whose rule the abbey gained a reputation for caring for the needy. The next abbot was William who presided over the abbey from 1180 to 1190 and he was succeeded by Ralph Haget, who had entered Fountains at the age of 30 as a novice, after pursuing a military career. During the European famine of 1194 Haget ordered the construction of shelters in the vicinity of the abbey and provided daily food rations to the poor enhancing the abbey's reputation for caring for the poor and attracting more grants from wealthy benefactors. 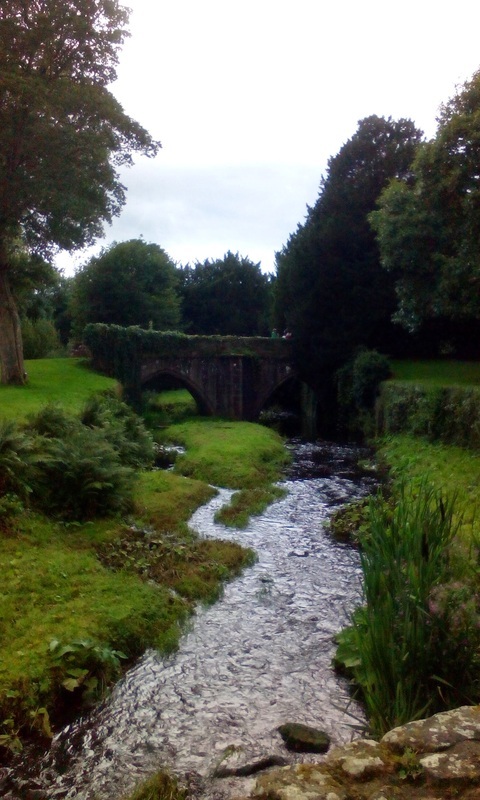 In the first half of the 13th century Fountains increased in reputation and prosperity under the next three abbots, John of York (1203–1211), John of Hessle (1211–1220) and John of Kent (1220–1247). 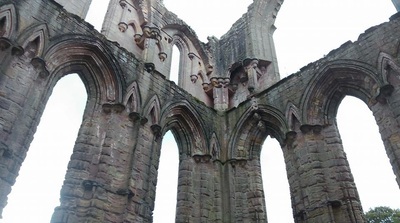 They were burdened with an inordinate amount of administrative duties and increasing demands for money in taxation and levies but managed to complete another massive expansion of the abbey's buildings. 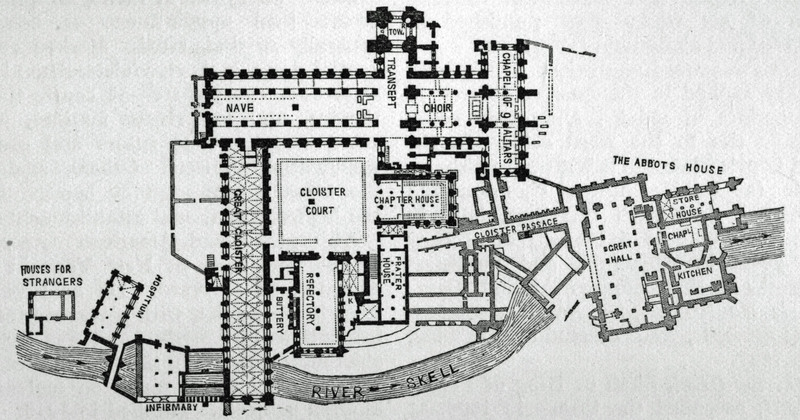 This included enlarging the church and building an infirmary. 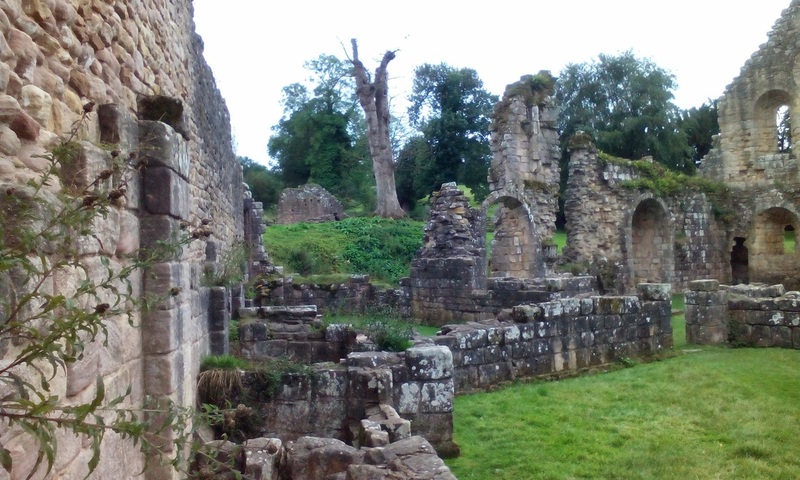 In the second half of the 13th century the abbey was in more straitened circumstances. 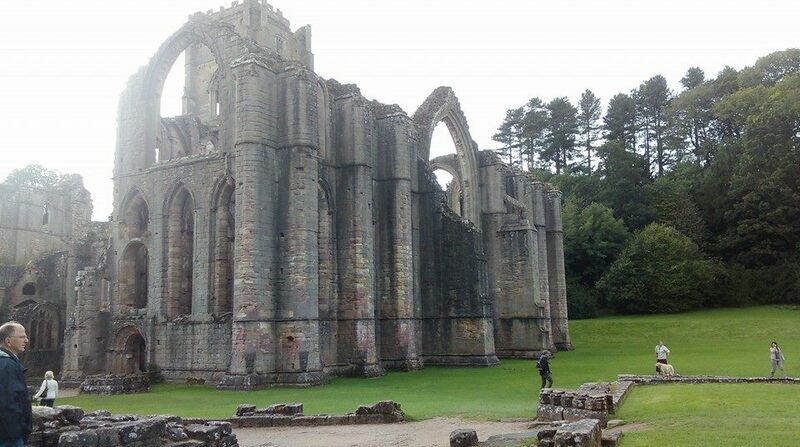 It was presided over by eleven abbots, and became financially unstable largely due to forward selling its wool crop, and the abbey was criticised for its dire material and physical state when it was visited by Archbishop John Romeyn in 1294. The run of disasters that befell the community continued into the early 14th century when northern England was invaded by the Scots and there were further demands for taxes. The culmination of these misfortunes was the Black Death of 1349–1349. The loss of manpower and income due to the ravages of the plague was almost ruinous. A further complication arose as a result of the Papal Schism of 1378–1409. 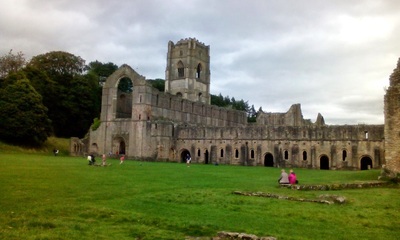 Fountains Abbey along with other English Cistercian houses was told to break off any contact with the mother house of Citeaux, which supported a rival pope. This resulted in the abbots forming their own chapter to rule the order in England and consequently they became increasingly involved in internecine politics. In 1410, following the death of Abbott Burley of Fountains, the community was riven by several years of turmoil over the election of his successor. 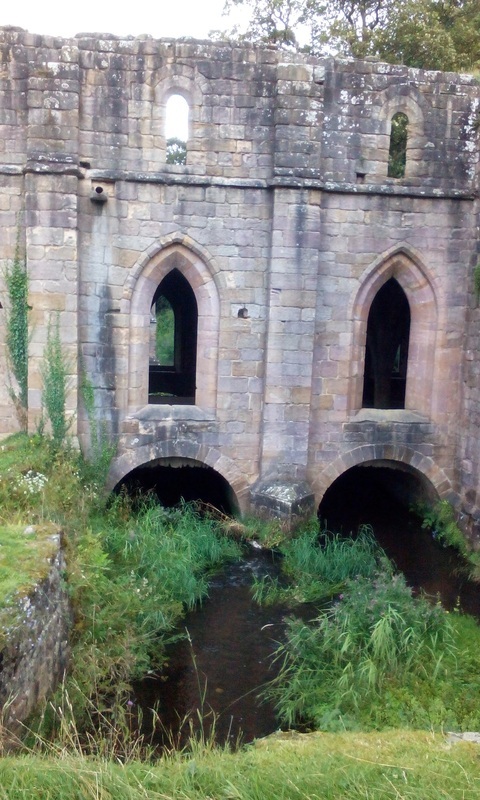 Contending candidates John Ripon, Abbot of Meaux, and Roger Frank, a monk of Fountains were locked in discord until 1415 when Ripon was finally appointed and presided until his death in 1434. Under abbots John Greenwell (1442–1471), Thomas Swinton (1471–8), John Darnton (1478–95), who undertook some much needed restoration of the fabric of the abbey including notable work on the church, and Marmaduke Huby (1495–1526) Fountains regained stability and prosperity. The Abbey buildings and over 500 acres (200 ha) of land were sold by the Crown, on 1 October 1540, to Sir Richard Gresham, the London merchant, father of the founder of the Royal Exchange, Sir Thomas Gresham.Gresham sold some of the fabric of the site, stone, timber, lead, as building materials to help to defray the cost of purchase. 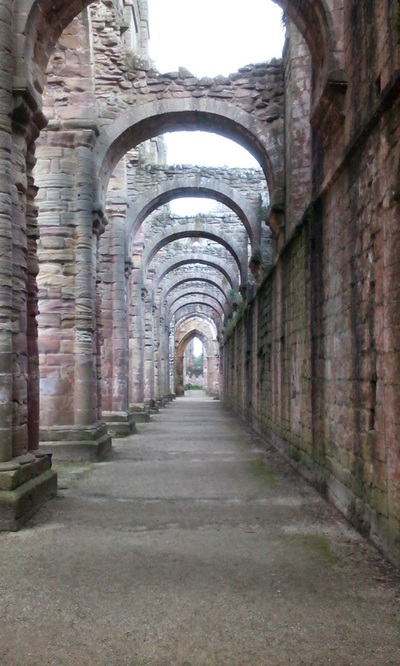 The site was acquired in 1597 by Sir Stephen Proctor, who used stone from the monastic complex to build Fountains Hall. 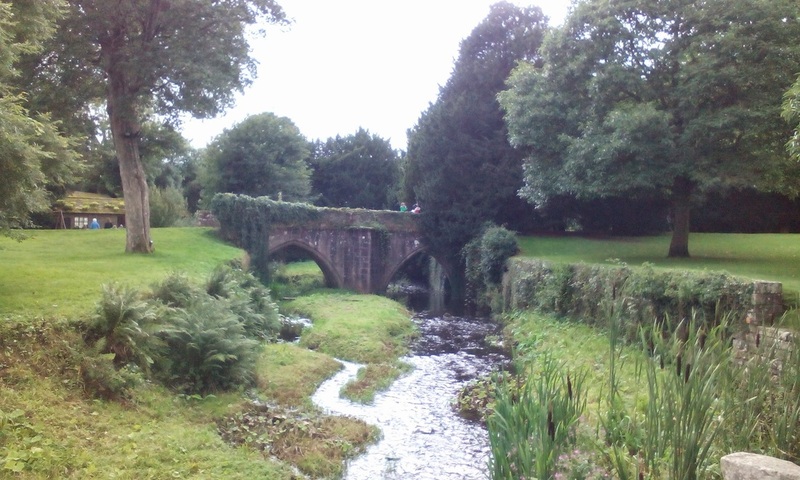 Between 1627 and 1767 the estate was owned by the Messenger family who sold it to William Aislaby who was responsible for combining it with the Studley Royal Estate. The archaeological excavation of the site was begun under the supervision of John Richard Walbran, a Ripon antiquary who, in 1846, had published a paper On the Necessity of clearing out the Conventual Church of Fountains.In 1966 the Abbey was placed in the guardianship of the Department of the Environment and the estate was purchased by the West Riding County Council who transferred ownership to the North Yorkshire County Council in 1974. 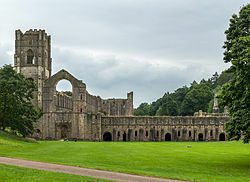 The National Trust bought the 674-acre Fountains Abbey and Studley Royal estate from North Yorkshire County Council in 1983. Last admission one hour before closing. 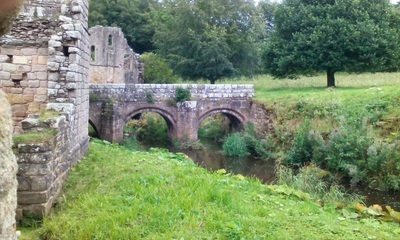 Hall, mill, shop and restaurant close one hour earlier than Abbey and Water Garden. Property closed 24 and 25 December.